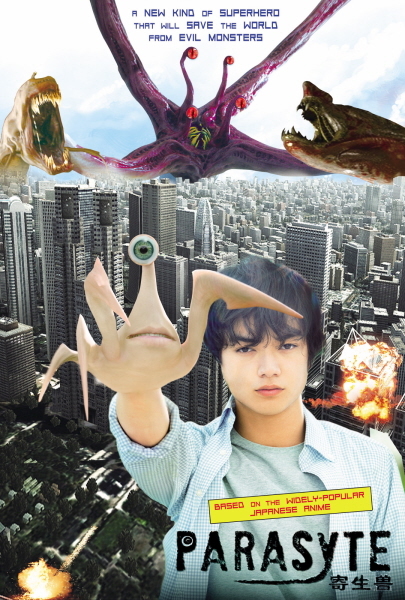 “Parasyte” starts to seep when hair-raising worm-like creatures fall from the skies and take over human brains and live like regular people to satisfy their appetite for human flesh. The parasites increasingly take on human attributes to adapt to their new environment. But one parasite fails to take control of one human – a high school student by the name of Shinichi and ends up possessing only his right arm. Soon, Shinichi’s beloved mother is killed and taken over by a Parasyte. When the creature launches an attack on him, he has no choice but to kill her. Parasytes are bent on human destruction where humanity has continued to despoil nature, but in the midst of this conflict, Shinichi has no choice but to hurl himself into the fight to save humanity against the Parasytes.